Back in the mid-90s, Be Inc developed its own operating system called BeOS initially to run on their own PowerPC-based hardware, the BeBox, but later ported to run on PowerPC Macs and Mac clones – and eventually ported to the x86 platform. Be was co-created by a former Apple executive Jean Louis Gassée, but despite its advanced features, BeOS just couldn’t gain ground in a computer world dominated by Microsoft and Apple. Ten years after Be Inc was formed and just over 5 years of BeOS being released, Be Inc dissolved and its assets became the property of Palm Inc. 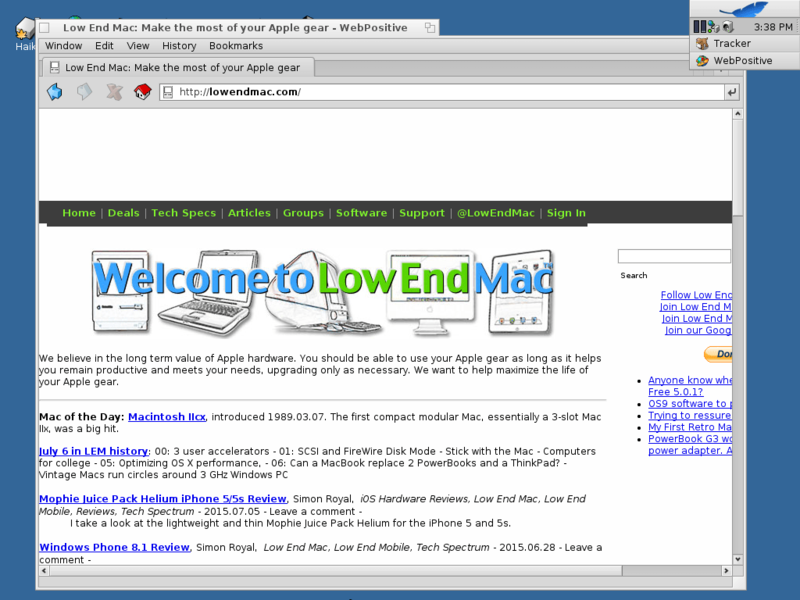 In its short lifespan, it showed serious promise with advanced features for its time, and when Apple were looking for a replacement for its ageing Mac OS, it looked at both BeOS and NeXTstep – finally going with the Steve Jobs’ NeXTstep, as it was more polished and BeOS still lacked essential services. BeOS continues to have dedicated fans of the failed operating system, and it even spawned a few side projects, but none that had any success with the exception of one: Haiku. Haiku began development shortly after BeOS was no more, but it took until 2009 before a public release was available in the shape of alpha 1. I was a keen fan of BeOS back in the day and have been following the Haiku project for a while too and recently installed the latest release – alpha 4 – as a virtual machine on my Mac. Putting it in a virtual machine helps handle hardware and can be tweaked if needed. I set it up with 1 GB RAM and 1 GB hard drive – everything else was default in VirtualBox. Installation was pretty straightforward, with the usual need to partition the drive first and then sit back and watch it install. Once installed, you can see the desktop and its heavy resemblance to BeOS, the 90s era and in some way classic Mac OS and some lightweight Linux window managers such as IceWM and FluxBox. It has a minimalistic and clean look to it – but it certainly doesn’t have that slick look of a modern OS. The system seems fluid enough – and according to the developers could be used as your everyday OS, as it can handle web browsing, instant messaging, emails, and writing as well as listening to music and watching videos – although you should keep in mind Haiku is still in alpha stage. 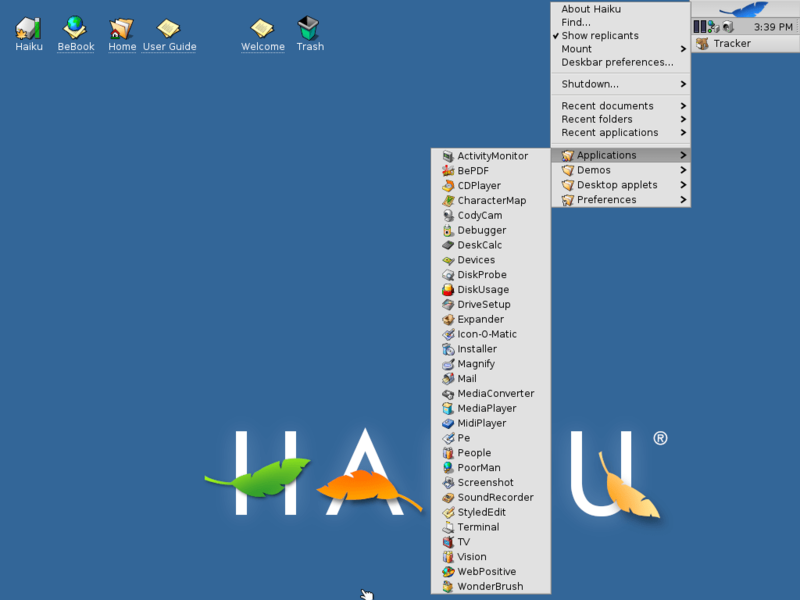 You can also add extra software, although there isn’t a vast amount available, and Haiku will run software that was developed for the BeOS R5 release. There is Java support but not Flash, which could cause some issues, although a lot of sites are switching over or at least supporting HTML5, so this could be an option. Networking and WiFi is handled well, and most chipsets should be supported. It would be interesting to install this on a dedicated machine – requiring only a Pentium 3 with 256 MB RAM – and see how it detects and handles real hardware and behaves in the real world. 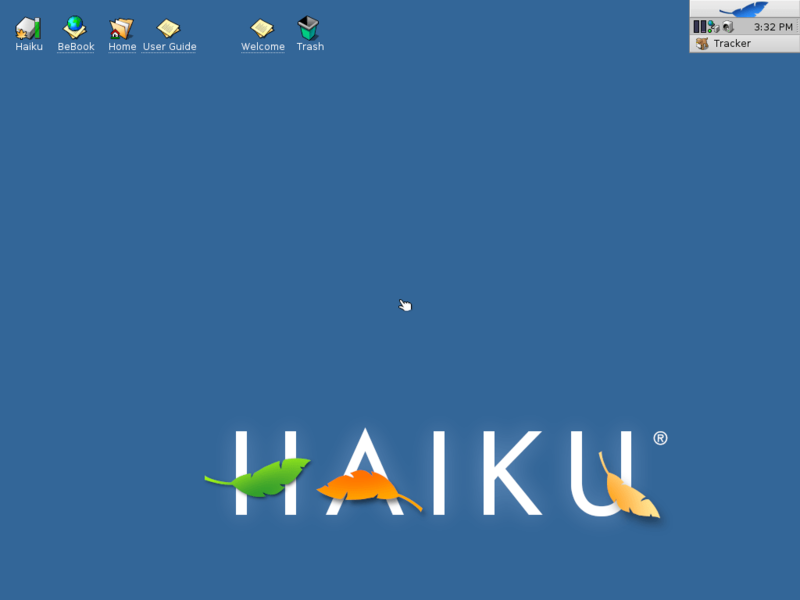 I find Haiku an interesting project overall, but it still suffers from the lack of mainstream interest that BeOS did, putting it as a hobbyist’s project, something for ultra-geeks to play with. There is a very helpful FAQ to answer any technical queries you might have. Development is also very slow. It has been in alpha since 2009, and prior to that it was in unreleased development for a long time. This doesn’t help when it comes to pulling people in, as it seems like someones side project. I love to tinker with Haiku, and I shall keep a close eye on it.